Have you ever visited Florence? Next March 14th would be the ideal day, because there will be the Qt Day. 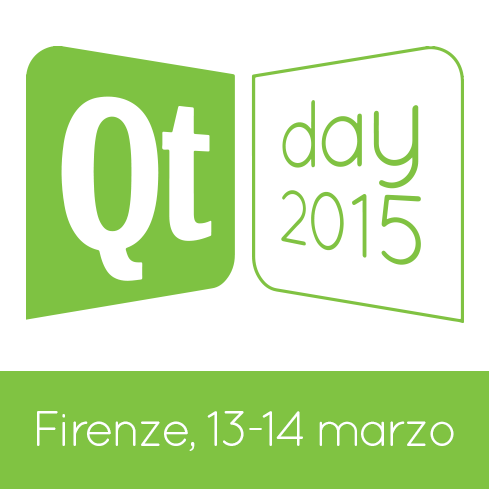 QtDay 2015 will be the fourth edition of the conference. In 2014 we had 130 attendees representing more than 50 companies actively using Qt for desktop and embedded development on a daily basis. Topics covered include practical technical information on Qt and related technologies, case studies of companies that have successfully implemented and deployed Qt solutions and reports directly from the developers of Qt on the latest technical and commercial offerings. I went to 2014 edition and it was an awesome day: I really improved my Qt knowledge, but mainly I had the opportunity to meet new people and to have some good time. Also, Florence is a wonderful city, and it is always a joy to visit it. A good number of talks will be in English, so I strongly suggest to grabbing this opportunity and have a weekend in Italy. Giulio Collura and I will talk about Qt & Ubuntu: what’s Unity 8, how the ubuntu-ui-toolkit works and which are plans for the future of the third most deployed OS in the world. After ~15 minutes of talk we will do some live coding to show how much is easy to develop a convergent app. Our talk, named Ubuntu: all you need is Qt-ness, will last 45 minutes. We think we can astonish the audience by showing them how much can rock a desktop environment created with Qt. I know, Unity 8 isn’t the first to use it (KDE anyone?) but it’s the first which harnesses the power of the convergence of Qt5. Moreover, all around is growing an amazing ecosystem with exciting features. Plus, if you like Unity, you can meet here a real rockstar: Unity 7 developer, Marco Treviño Trevisan. So, join us to be updated on Qt, Ubuntu and have some good time talking about opensource and how to change the world, bit by bit.